The word deforestation is pretty straightforward, with not much room for misunderstanding. The word reforestation refers to a multitude of practices, some that improve the land, some that neither improve nor degrade, and some that are downright destructive. The dictionary definition of reforest is: “to replant (an area) with trees.” Obviously, deforestation must come before reforestation. Deforestation is simple: Remove the trees by whatever means. It implies human intervention, rather than removal by natural disaster. Reforestation brings up a number of possibilities and alternatives. It can mean anything from tree farming with all of its cosmetic perfection of arrow-straight rows of thousands of trees all of the same exotic species (monoculture), to simply allowing the forest to regenerate naturally. There are a number of alternatives that fall between these two extremes. I prefer to think of reforestation as something that is done by humans and to use the term regeneration for Mother Nature’s method of returning forest to denuded lands. 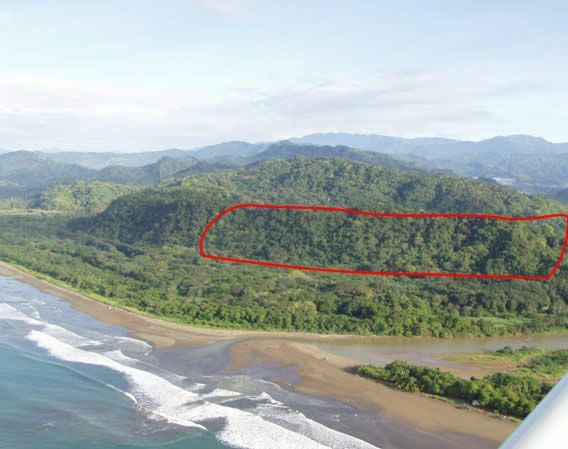 In the southern Pacific coastal region of Costa Rica, the first period of deforestation resulting from human activities began with the advent of agriculture by indigenous peoples approximately 2,000 years ago. Little evidence is available to indicate how extensive that deforestation may have been. A rotational type of agriculture was probably used by those early agriculturists. A plot of rain forest was felled and burned, and the land was planted to several subsequent crops, until soil fertility diminished. Then the plot was abandoned and another cleared. After ten years or more, the farmer returned to a plot that had been farmed previously and had recovered a certain level of fertility. Though the land was not quite as fertile as primary forest, it was much easier to clear. This method, called “slash and burn” agriculture, is still used today by subsistence farmers in many tropical forest regions. When the farmer abandons a plot, a secondary forest will regenerate naturally. The tree species in the secondary forest will follow a succession beginning with fast growing “pioneer” species and, given enough time, evolve into a complex forest very similar to the original pristine or primary forest. Humans haven’t been studying the rain forest long enough to know how much time is needed for a stable forest ecosystem like the one originally felled to return. It is certainly longer than 100 years and may take 200 to 300 years. Shortly after the arrival of the Spaniards in the early 1500s, indigenous populations were decimated from disease and war. Several tribal centers remained along the southern Pacific Coast, but most of the land regenerated naturally over the next 400 years. When the first pioneers arrived in the early 1900s, they found wild, pristine primary forest, complete with jaguars, tapirs, harpy eagles, and scarlet macaws. Their arrival marked the beginning of the second cycle of deforestation. Armed with iron tools, such as machetes, axes, and saws, the early settlers were able to deforest a lot of land in a short time. As new technology became available, they exchanged their axes and oxen for chain saws and bulldozers. Raising cattle was easier than farming but required more land. The insatiable hunger for ranch land went on until the early 1980s, when the deforestation reached its peak. The original forest had been reduced to a mere fragment of its original extension. Two factors combined to reverse this trend and save the last remaining parcels of primary forest. The first was a government program which provided cash incentives and tax exemption for reforestation projects. The second was the birth of ecological tourism, which replaced cattle ranching as the primary source of income and employment in the region. The former produced tree farms, mostly monocultures of exotic species, and the latter created a great deal of naturally regenerated secondary forest. My first experience with returning forest to denuded lands began in 1979 when I decided to convert 30 hectares of poor quality hillside pasture to forest. I had heard of reforestation but knew nothing about it, and looked for advice from knowledgeable sources. One of those sources was the Tropical Science Center in San Jose. There I was told about allowing the forest to regenerate naturally and how that was more effective in preventing erosion and providing wildlife habitat than replanting with commercially valuable species. I learned how a monoculture, though very efficient in the production of timber, tends to leave the soil bare and vulnerable to erosion. When a single species of tree is planted at high density, little sunlight penetrates to soil level to fuel the understory plants that normally thrive there. These are important because they hold the soil together while providing shelter for wildlife. I made the decision to use the natural method of returning the pasture to forest. The land bordered a large primary forest which served as a vast seed bank, providing genetic material for the natural succession process. All we did was quit chopping the weeds. Mother Nature did the planting. These two aerial photos, one from 1972 and the other from 2002, show the result. 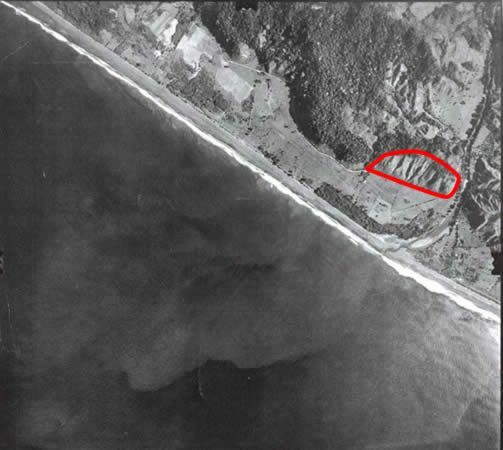 Hacienda Barú, the farm where this was done, is today a National Wildlife Refuge. It is the most important tourist attraction in the Dominical area and last year received over 10,000 visitors from all over the world. The secondary forest that grew up where there was poor pasture 25 years ago is now traversed by an interpretive nature trail where tourists from far away places walk and enjoy the natural wonders of the rain forest. All together, about 150 hectares of land have been allowed to regenerate into secondary forest at Hacienda Barú. In succeeding natural regeneration projects, we stimulated the process by planting, in a random pattern, a variety of native species of trees, many of which are endangered or locally extinct. All kinds of wildlife soon moved into the new habitat. To date, biologists have identified 349 species of birds, 69 species of mammals, 94 species of amphibians and reptiles, 38 species of butterflies, 47 species of orchids, and well over 100 species of trees on Hacienda Barú, and the lists are far from complete. The land has become, in a relatively short time, a veritable paradise for ecologically minded travelers. This in turn generates employment and cash flow, not only directly for the owners of the land, but also for the surrounding community which depends on the wildlife refuge as a place where visitors to the region may visit and enjoy tropical nature. In 1985, I decided to try some conventional monoculture tree farming in addition to the natural regeneration that I had begun six years earlier. This was done, not on a steep hillside, but on flat land that had previously been a rice field. Eight hectares of land was planted with a little over 12,000 closely spaced teak seedlings. The reason for the high density was to force the young trees to compete for light and grow straight. As the trees grew larger, the competition for nutrients became intense, and the stand needed to be thinned so the best trees could utilize all available nutrients. After three years, thirty percent of the trees were culled and the rest pruned. The sacrificed trees had no commercial value and were left on the ground to rot. Yearly pruning continued, and at six years another thinning took place. This time the trunks were used for fence posts. By nine years, the thinned trunks were tall enough and stout enough for use in pole construction. By twelve years, they had grown thick enough and become fibrous enough for use in construction and furniture manufacture. That year we used teak from the plantation to build a restaurant at Hacienda Barú to serve the growing number of ecological tourists that came to visit the reserve. The tables and chairs were fashioned from teak wood as well. By twelve years the criteria for thinning had changed. The total number of trees in the plantation had dropped from 1,600 per hectare to 400, but those that remained were superior individuals, being the thickest and straightest of the stand. Previous thinnings had removed the scraggly, crooked trees. Future thinnings were done on the basis of crowding rather than quality. Any tree with a crown that didn’t extend up and out of the canopy into the direct sunlight was felled. When the plantation was fourteen years old, we bought a portable sawmill. We have never purchased a stick of lumber since. All the wood used on Hacienda Barú National Wildlife Refuge comes from our own plantations. As more sunlight penetrates the teak crowns and reaches the ground, conditions for planting new seedlings improve. The appearance of grass is the first sign. If grass will grow in a given spot within the teak plantation, so will a young tree. When the plantation reached eighteen years, we began planting several native tree species between the teak trees. As the teak is harvested and more sunlight penetrates, these will grow taller and eventually become the dominant vegetation. This mixed, native species plantation will more closely resemble a natural forest with its higher diversity and provide an enhanced environment for wildlife. Had I understood this principal back in 1985 when I planted the teak, an Asian species, I would have planted mixed native species instead. Nevertheless, I believe the teak, which requires no chemicals, is better for the environment than the rice field that preceded it. Additionally, it provides for all of our lumber needs and thus alleviates the pressure on natural forests. Reforestation and regeneration, or shall we simply call it forestation, is happening all over Costa Rica. The government’s incentive program for protecting existing forest and creating new forest has been a key factor in sustaining this trend. There are even incentives for people who simply wish to plant a few trees at various locations scattered around their farms. Tropical rain forests produce oxygen, conserve water, and provide building materials. They create an environment where a nearly infinite number of life-forms may find a niche, all of them interacting in a miraculous and intricate balance. A primary rain forest contains more biomass and more biodiversity than any other habitat on earth. It is a rare jewel among habitats. If you wish to plant trees, think carefully about the land, in addition to your own needs. Pay special attention to the effects your project will have on the environment. In making your decision, numerous technical factors should be taken into account, such as climate, altitude, soil fertility, inclination (steepness of slope), and vulnerability to erosion. Also, your own needs or motivations to plant trees will play a big part in your decision. Do you want wildlife habitat, fruit, or lumber? The most important question to ask is: What will your trees replace? Will there be an improvement, ecologically speaking, over the previous environment, or will biodiversity diminish? The longer Mother Nature has her own way, the more services the resulting environment will provide. These services include: filtration and cycling of fresh water, protection of fresh water springs, removal of carbon dioxide from the atmosphere, production of oxygen, protection and creation of topsoil, and the creation of a favorable environment for countless living species. The more your project simulates nature, the better it will be. Any forestation project should improve the state of the land and its ability to provide the services listed above. In a nutshell, it should increase biodiversity.